Red Hot® Crossbow Case Protects what's closest to you - your crossbow! The last thing you want is your new crossbow bouncing around your truck and your optics being bumped out of whack. 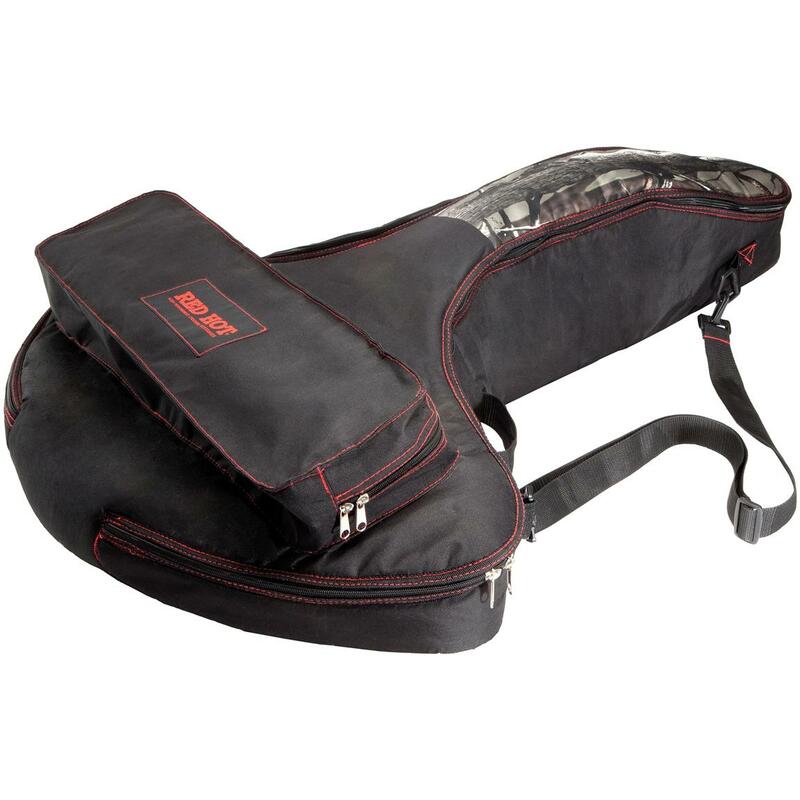 Which is why the Red Hot® Crossbow Case is expertly designed to give soft sided protection for your investment. Designed to fit most crossbows, this is one well made, functional case! Adjustable & removable shoulder strap for transport. Measures 39" x 28 1/2" (bow) x 9" (scope) Quiver Case measures quiver case measures 24" x 7" x 3 1/2".